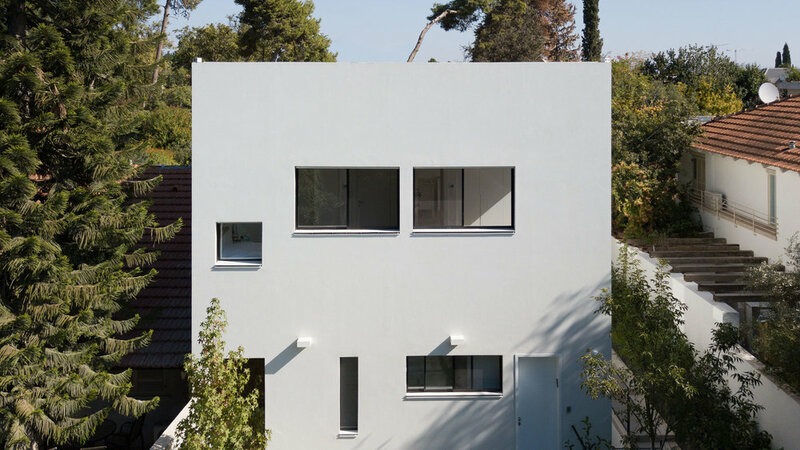 The project sits in a quiet residential neighborhood north east of Tel Aviv. The site is elongated and has a relatively steep topographic differentiation between its front and back yard. 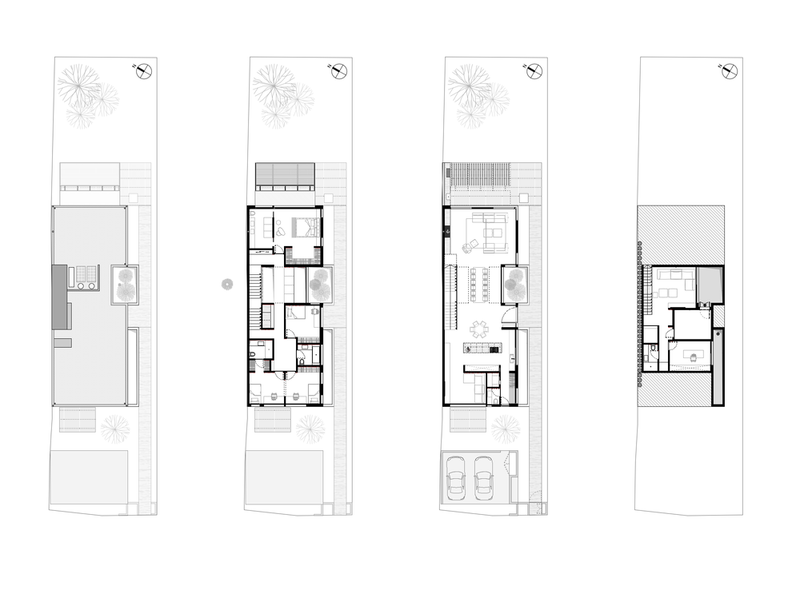 The brief was to design a single family dwelling for a young family. We faced a challenge in fitting all of the necessary programs whilst maintaining a pleasant footprint and sharing a party wall with the neighbor. There is an internal courtyard which breaks the mass of the house into two separate cubes. The house consists of a series of volumes that are interconnected by a bridge which connects the master bedroom and children's rooms. It is a series of cubes that have been stretched and bridged by the void space that separates the two. The materiality of the space consists of white render, black aluminum, oak wood, and terrazzo. 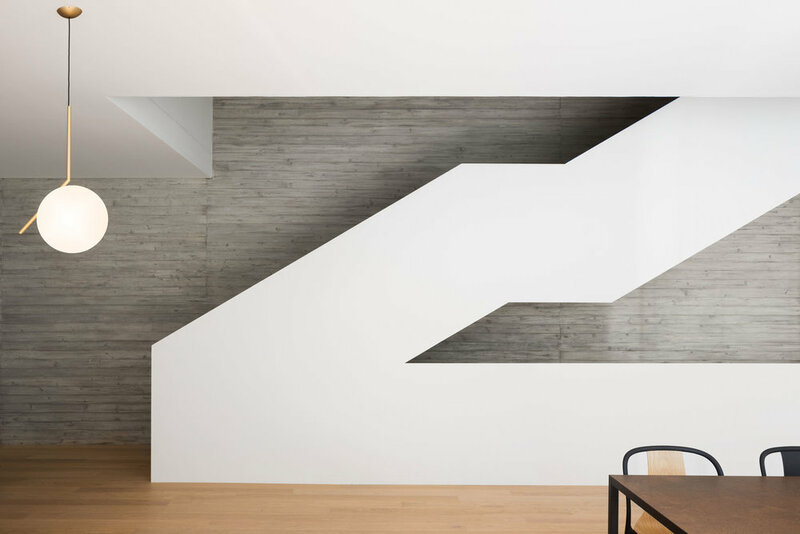 This material palette is visible throughout the house. It helps to stitch the spaces together. Oak Flooring, Stone, white metal, black metal, render and exposed concrete.